[UPDATE]: It’s official. Respawn Entertainment has announced Apex Legends and will officially reveal the game to the world via Twitch today, February 4 at 8AM PST. You can watch the official reveal at Apex Legends’ official Twitch channel. 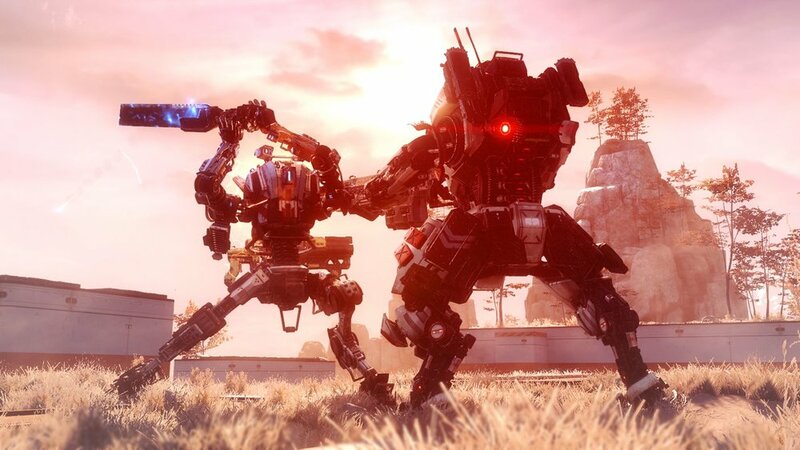 It looks like Respawn Entertainment (Titanfall) will be releasing a battle royal game set in the Titanfall universe with Electronic Arts as publisher, and it will not feature titans. Rob Breslau, an esports journalist, has received numerous tips that Respawn “invited top streamers and esports pros across Battle Royale and other FPS games to playtest Apex legends in LA this past week.” Breslau tweeted. It’s called Apex Legends and Kotaku’s Jason Schreier also confirmed these reports. With Jason Schreier supporting these details from Breslau, the chances of this coming out as true is high, as Schreier has a good track record when it comes to rumors and tips within the gaming industry. Based on Breslau’s tweets, Apex Legends will feature a class-based battle royale with teams of three players playing on a server that can hold up to 60 players. Again, this will be a Titan-less Titanfall spinoff and will be free-to-play. In terms of microtransctions Breslau also tweeted that Apex Legends will be tackling cosmetics similar to Blizzard’s Overwatch - lootboxes filled with cosmetic items. Apex Legends is rumored to be released sometime this week on PlayStation 4, Xbox One, and PC. We’ll cover more news regarding this, but at this rate, they could announced and turn on the servers any minute now. Apex Legends Hong Kong and Singapore servers are plagued with Chinese bots, voicing their advertisement during the hero selection screen and leaving the game once drop off begins. It looks like Respawn Entertainment (Titanfall) will be releasing a battle royal game called Apex Legends and is set in the Titanfall universe, and it will not feature titans. New maps, a few changes, a new Titan to join the fight. The Colony map, Live Fire Game Mode, and a few cosmetic items for the game's store will be the first batch of content for 2017.